As part of the TUV SUD Functional Safety Certification Programme, =Method offer the Functional Safety for Safety Instrumented Systems Professionals training course. The course is universally recognised as the essential qualification for professionals and engineers working with any aspect of the Functional Safety lifecycle in the Process and Power industries. The course provides an overview of the entire IEC 61511 lifecycle and details how key aspects such as Verification, Validation, Functional Safety Assessments and Audits can be practically implemented. On successful completion of the course and the examination, candidates that can demonstrate the required level of experience will achieve the “TUV Functional Safety Professional” award. Certification takes place in cooperation with TUV SUD. 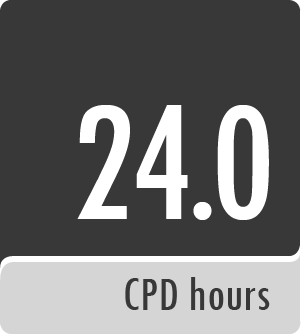 The Course is structured over 3 days of class room training, followed by a 4-hour exam on the 4th day. Engineers and professionals who require a broad level of knowledge and may be responsible for functional safety, its principles and methods, within their workplace. There are no formal pre-requisites to start the training course - we assume no prior knowledge, but of course experience of Functional Safety in general and the IEC 61511 standard is advantageous. Download and print our TUV Certified 61511 Training Course information flyer. If this course is of interest we would welcome your enquiry to understand your requirements more fully or you can reserve a place on one of our courses.